Hi I’m Keita Sugimura,who has been working at London for 3years. so I’m available to assist you with precise counseling services for your hair style. 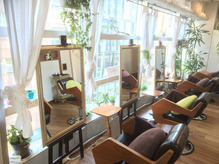 we are also pleased to provite you a high quality and simply good services (cuts, colors, perms, relaxing shampoo etc.). You are very welcome to our shop!